It’s been a while since I’ve posted–too busy working on the house to write much about it! The contractor sent out a couple of guys to take care of the insulation dams and the bathtub framing issues yesterday, and I spent the weekend and yesterday afternoon/evening tying all my ground wires together and generally making the wiring look neat and tidy. We’ll get a re-inspection sometime today, and hopefully we’ll pass this time around! 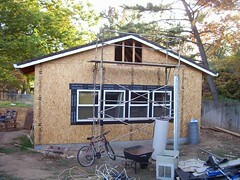 Assuming that we *do* pass, insulation is scheduled for tomorrow, and drywall will be installed Thursday and Friday. Taping and texturing will take up all of next week (Nov 6-10). 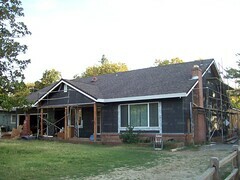 Cabinets will be installed on the following Monday. Countertop tile installation will begin that evening or the next day and should be completed by Nov 17, and we’ll work around the tile guy to install our appliances. I doubt that we’ll be able to get our tile flooring in before Thanksgiving (Nov 22), but I’ll let the tile installer make that decision when the time comes. But it looks like our kitchen will be functional for Thanksgiving this year! 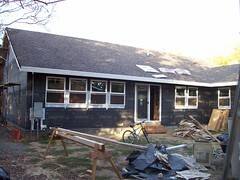 This entry was posted in Our home remodeling project, Uncategorized and tagged electrical, framing, stucco. Bookmark the permalink.